Ewald Chrysler Jeep Dodge Ram of Oconomowoc WI is a dealership in Milwaukee that many know and trust for their automotive needs. Offering drivers in Wisconsin many things, from a massive range of new and used vehicles for sale, to automotive services and maintenance from oil changes to full body repairs, Ewald Chrysler Jeep Dodge Ram of Oconomowoc WI is your number one choice for your automotive needs, so come on in today and check out our extensive collection of fantastic new and used cars, trucks, SUVs, and minivans for sale in Oconomowoc WI today! Ewald Chrysler Jeep Dodge Ram of Oconomowoc WI has plenty of great new and used vehicles to choose from, which will make it nice and easy to find the new or used vehicle for sale that will best match your needs at an affordable price, such as its excellent new Dodge minivan for sale, the 2017 Dodge Grand Caravan SXT. This brand new Dodge minivan for sale is stuffed with things to offer you, starting out with its powerful 3.6L V6 24V VVT FlexFuel Engine that will push out up to 283 horse power to provide drivers with plenty of speed as well as power, generating up to an impressive maximum towing capacity of 3600 pounds, all with a fuel economy of 17 City mpg and 25 Highway mpg, coming together to provide a vehicle that offers a triple combo of speed, power, and efficiency for drivers in Oconomowoc WI to use and enjoy. 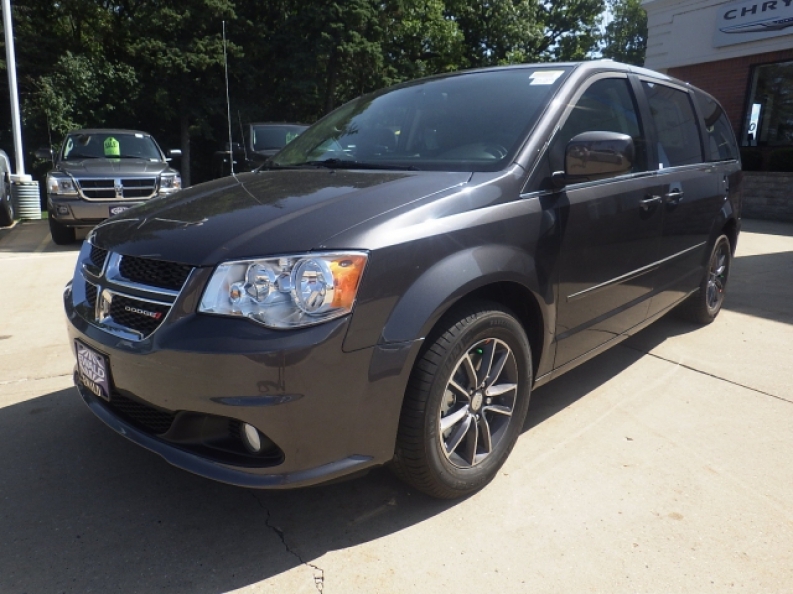 This new Dodge minivan for sale is a truly impressive vehicle for the 2017 model year, and has plenty more to offer in supplement to its great engine and efficient transmission. This new Dodge minivan for sale is a great minivan for sale in Oconomowoc WI that boasts a wide selection of excellent features and options for drivers such as yourself to use and enjoy, which all come together nicely to provide a driving experience that is more comfortable, more enjoyable, and much more reliable than ever before. Come on in to Ewald Chrysler Jeep Dodge Ram of Oconomowoc WI today and try out for yourself its many available features, such as its Touring Suspension that works hard to provide drivers like you with a smoother driving experience as you cruise along the Wisconsin roads, and its Multi-zone Climate Control will keep yourself and any passengers you may have nice and comfortable, and the beautiful Wood Trim will further enhance the style of this new Dodge minivan for sale as you drive along. Come on in to Ewald Chrysler Jeep Dodge Ram of Oconomowoc WI today and check out what else this awesome new Dodge minivan for sale has to show off to you today. 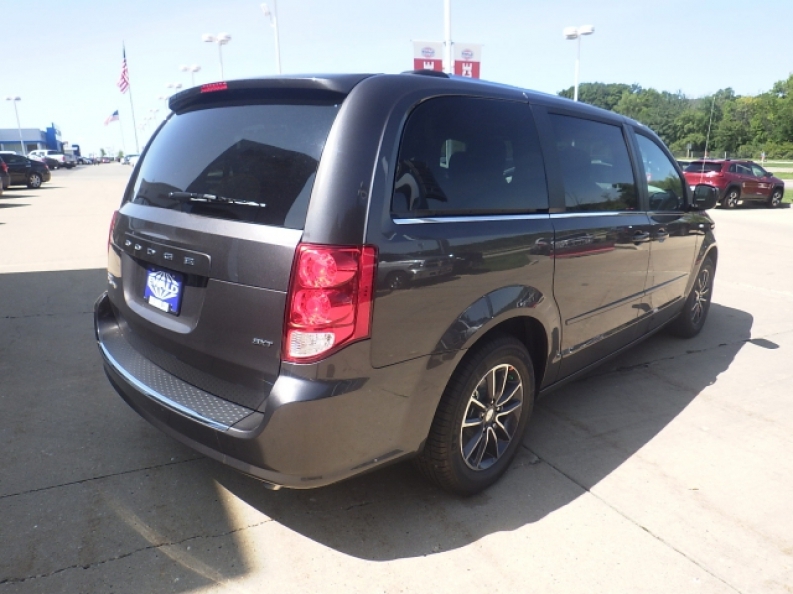 If you want to get more information on this new Dodge Minivan for sale, then stop on in to our location at 36833 E Wisconsin Ave Oconomowoc, WI 53066 today.